What are 1st graders expected to learn this year? Understand the basic objectives for first grade before developing or choosing an effective first grade homeschool curriculum package and see our top favorites. You probably decided to homeschool your children because you wanted more control over what they learn. This is understandable, but you will still have to understand the basic objectives to be covered in each grade. Once you know what is required learning for first graders, you can come up with your own lesson plans and even enhance the knowledge you want your children to learn. Make sure to look up the guidelines and rules specific to your state, since every state has their own guidelines on learning objectives. Some are far more strict than others, but you will always have the option of adding to the list. Following is a quick guide to what first graders typically learn no matter where they live. There are several objectives and milestones to expect in first grade. To move forward, children must make progress in reading and language arts and mathematics. They will also further their understanding of basic scientific and social studies concepts. In general, first graders are energetic and grow fast. They should actively pursue reading. Their fine motor skills are still developing but your child should be attempting to follow words and lines on a page with their finger. Practice reading and language skills frequently. A first grader starts to understand the meaning of words and figure out how to decipher what words mean as they read. By the end of first grade, your child should be able to read on their own. Have your child read aloud to facilitate this process. Math is important and not all children or adults are great at it. Fortunately, first grade math is pretty basic. It does, however, build a foundation that will matter every grade going forward. Addition, subtraction, counting and geometry can be taught by adding physical and online games to your curriculum. Worksheets and flashcards are great, too. Science is a fascinating subject for children first learning to understand the world around them. They’re at a point where they can distinguish living things from those that aren’t. Classifying and comparing animal types are basic activities. Use weather maps to help children identify patterns, seasons, and daily weather. Discuss storms and also ways to stay safe in thunderstorms, for example. Such lessons can be critical and lifesaving at any point. In first grade, children start to learn the difference between themselves and the rest of the world. Begin locally. Talk about the different people in the neighborhood and their roles and cultures. In order to grasp the rest of the world, your child first needs to see the scope of the community around them. Even research the history of your city or town to help them learn how the past associates with the present. Not every child will come out of first grade reading on their own. Many will be reading simple children’s books by the end of the grade, while others are reading more advanced chapter books and still others are not reading independently at all. What is important at this grade level is for children to start taking words apart, hearing the letter sounds, and identifying words with common sounds. Those not reading independently after first grade will take that next step in early second grade. Make use of real money, blocks, dry macaroni, and other things that children can group and count. Children at this age learn better with a hands-on visual approach to math. Science and social studies are great areas to enhance your child’s learning objectives and create fun field trips to fit their personality and interests. For instance, a child who shows great interest in animals may want to write a small report about an animal and visit animals at the local zoo. Many of the learning objectives for first grade are intended to introduce concepts that will be understood better in second grade. Basic grasping of the concepts is often enough at this grade level. Flash cards help children absorb basic addition facts. Make your own or buy them. Ask if there’s context in a reading error. Can they identify smaller words within bigger ones or if what they’re stuck on is similar to something they know? If a child can fix their own mistakes, it helps them learn at a faster pace and feel more rewarded for it. Let your child write about their interests. Simple stories, diary entries or writing dates on a calendar are legitimate forms of practice. Discuss favorite parts of books or have your child predict what may happen later in the plot. Along with reading aloud, this helps improve comprehension. Play word games, which are fun yet are great for building vocabulary, problem solving skills and relating letters to sounds. Even board games can help in these areas and in boosting your first grader’s ability to categorize items. Practice using number picking games, counting change, or finding food items such as grapes or berries. The latter is good because they can choose colors. Ripe fruits are easily identifiable. Your child can learn by counting which items out of a group are good to eat. Find anything numerical, such as movie times or weather information, or compare any set of objects based on size or color. Use common games such as dice, cards, dominoes or checkers, or something that involves counting spaces on a board. Exposure to different subjects is a critical part of first grade. Social and emotional development must be encouraged as well. You can guide your child along by addressing their feelings. Encourage them to express how they feel and correct their mistakes, while respecting who they are. Intellectual development is at a crucial stage now too. Bolster your child’s intellectual skills by encouraging them to talk about their experiences and being creative. Conduct listening exercises as these will help lengthen their attention span. By organizing objects, it helps to boost your child’s memory. It’s therefore important to incorporate these factors in your first grade homeschooling curriculum and in your child’s downtime. There are many different curricula for first graders. Even when homeschooling, there may be state requirements to consider. If going it on your own, there are a few things to look for. First, be sure it covers basic subjects such as reading, math, science, history, etc. Some may cover writing, art, or even religion. A 1st grade homeschool curriculum package that is diverse stylistically can accommodate different learning and teaching styles, rather than restrict your efforts. One that caters to different teaching methods is as important as one that can be adapted to how your child learns. Also pick one that has flexible and relatively simple lessons. If they’re too complex, you’ll be spending too much time organizing and planning, or perhaps skipping lessons to conserve time and energy. Here are a few examples to get started. Alpha Omega Life Pacs – This program has a lot of fun learning activities and great projects for 1st graders that really help them master the skills that they need to learn this year. Sonlight Curriculum – This is a great year to try the Sonligh curriculum. 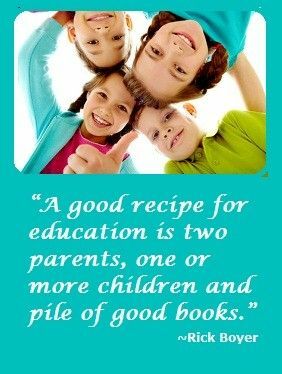 It is a lot of reading for both parents and kids but is a favorite among many who use it. Hooked on Phonics – This is one of the best programs ever created to teach a child to read. Even if you decide to use it with another program, it is a good investment. Horizons Phonics and Reading – This curriculum is an excellent way to introduce children to a love of reading. Their spelling program is also a great complement to this option. Apologia Science – Want your child to LOVE Science? Apologia is great for all elementary ages. LifePac Science – With a number of fun hands-on activities, your child will love this introduction to many scientific concepts. Horizons Math – This curriculum may be more advanced than others for 1st grade, but kids love it and its spiral learning method is excellent for gifted students or ones who rise to a challenge. LifePac Math – Utilizing the mastery learning method, this curriculum is ideal for kids who do their best when they are required to master a skill before moving on. MathUSee – This program used manipulatives to help kids understand and “see” how math concepts work. Horizons Penmanship – One of the best handwriting curriculum choices for 1st graders, this program will really help to teach them to write neatly and is fun, too! 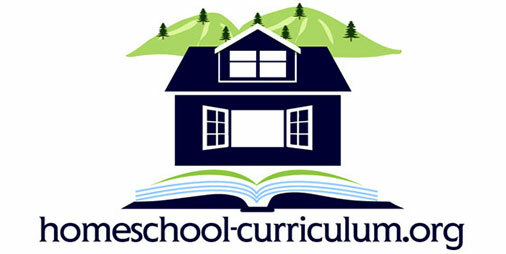 What 1st grade homeschool curriculum package works best in your homeschool? Share it here. I’d love the spreadsheet also!! Amy, I will be happy to send you a copy of the spreadsheet. Would the email you have listed work to send you a file? Hi – I emailed it to you. Do let me know your thoughts as we’re about to make another round of improvements!